Each year Trip advisor, the world famous tourism magazine, announces Best Middle East B&Bs and Inns. 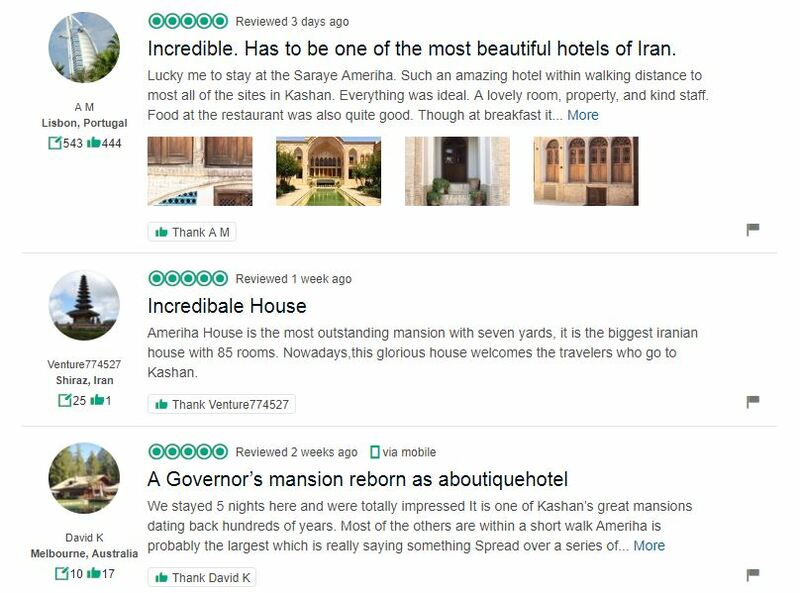 In 2017, Iranian House, Saraye Ameriha, Manouchehri house and Ehsan house were 4 suggested Traditional and Historical House in Kashan among 25 Best Bed and Breakfast hotels and inns. 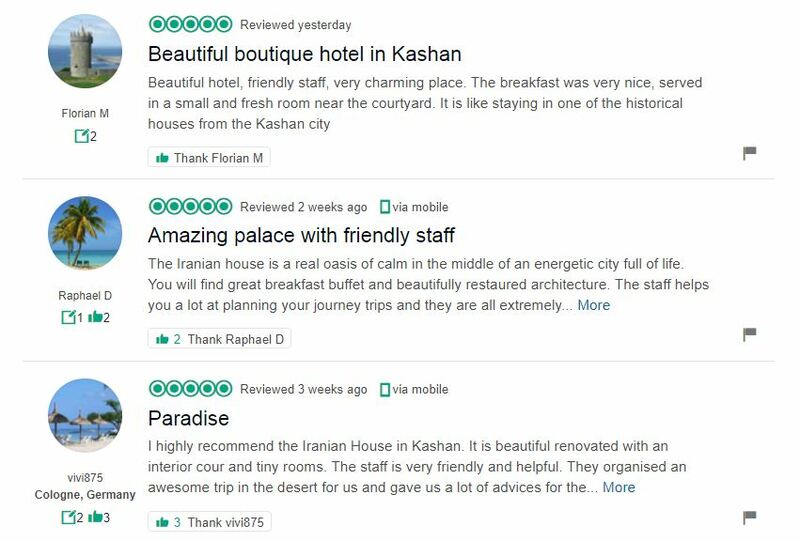 They were also Top accommodation in Kashan based on tourist reviews in 2017. In 2018, Tripadvisor again listed best inns and B&B hotels in Middle East. 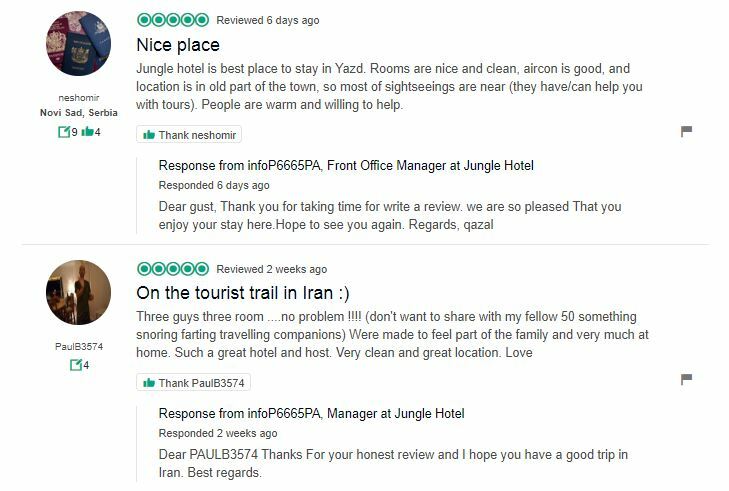 In the 25 selected Inns, Iran got 5 bests, this time in different cities and regions,eg; Qeshm Island, Kashan, Varzaneh desert and Yazd. Locating in a good location in Qeshm island, by overnighting in Assad B&B homestay you can enjoy walking to the sea and visit the Island with him. 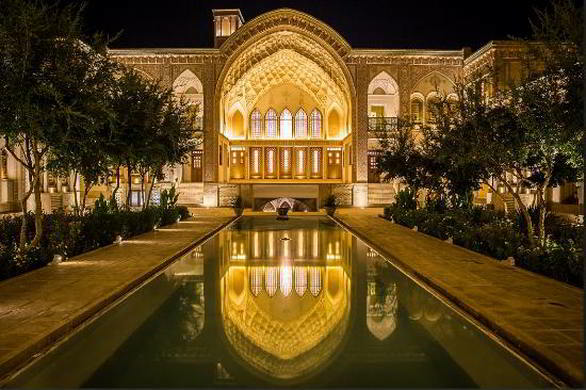 Iranian historical house is actually a 4* B&B Hotel, it’s very well located and stylish. A highlight historical house, with a very splendid area, architecture and great service. This Inn is located in Nain city, between Esfahan and Yazd. 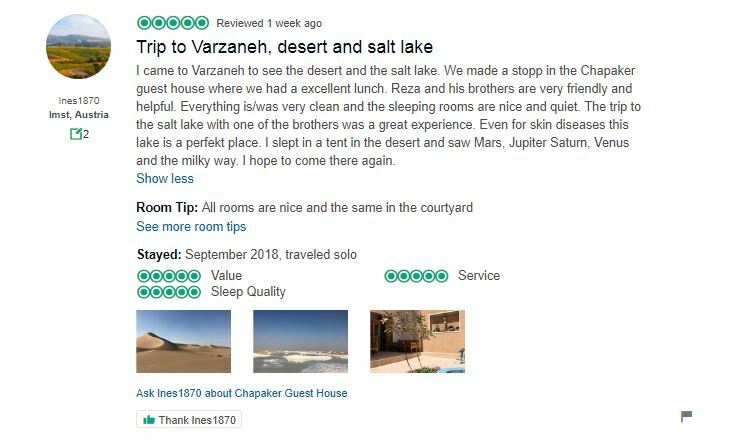 One of the best choices for those who love Varzaneh Sandy desert. In the old part of the city, in Yazd. A cosy new built house in an old style.